The only thing I'm addicted to right now is winning. Props to The San Diego Union-Tribune for creating such a killer cartoon! 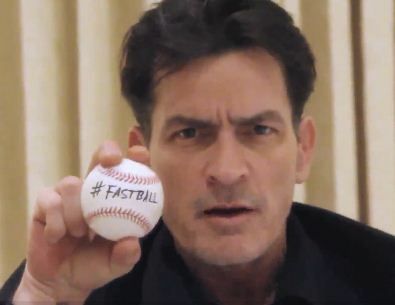 The Man, The Myth, The Legend ...Charlie Sheen made a planned guest appearance on the Jimmy Kimmel Live, March 21st. While Kimmel was interviewing mega-mogul Mark Cuban (who is currently working with Sheen on various ventures) the highly energetic Sheen ran on stage and crashed the party. With gifts in hand, Sheen dominated the screen for the few minutes he was on air. He handed out merchandise to screaming fans and one lucky gal even got his autograph. If this was a preview of the "My Violent Torpedo of Truth/Defeat is Not an Option Tour", fans are surely in for a rollercoaster ride of excitement! TMZ reported that Sheen met with Mike Darnell, President of Alternative Entertainment for FOX, to discuss possible ventures. One idea thrown around was giving the actor his own late night talk show. USAToday boldly states that CBS wants Sheen back on Two and a Half Men. CBS wants the star back at work on Two and a Half Men, Radar says, quoting "a well-placed insider" who says CBS President and CEO Les Moonves has been speaking with top execs at Warner Bros. Television, the company that produces Men and also fired Sheen. Sheen, who is currently getting ready for his nationwide tour, had no comment. My Violent Torpedo of Truth/Defeat is Not an Option Show has gone nationwide! Sheen's sold out tour has expanded to cover; New York City, Toronto, Atlantic City, Washington D.C., Ft. Lauderdale, Houston, Dallas, San Francisco, Seattle and Vancouver. Get your tickets now! Perfect these classic one-liners and become the Sheen! 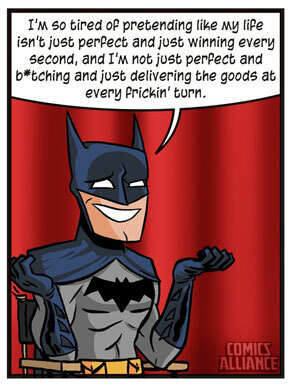 Kudos to artist Chris Haley and writer Curt Franklin of the webcomic Let's Be Friends Again. 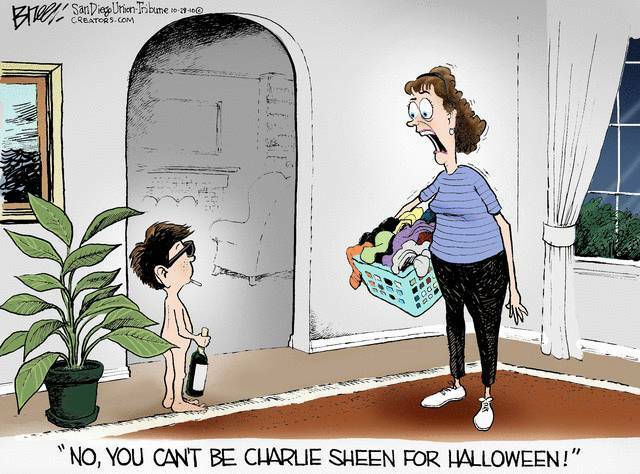 See more impressive Charlie Sheen comics here. Now that Charlie Sheen has been fired from Two and a Half Men, he's had plenty of time to play Call of Duty: Black Ops online. An IGN Original. 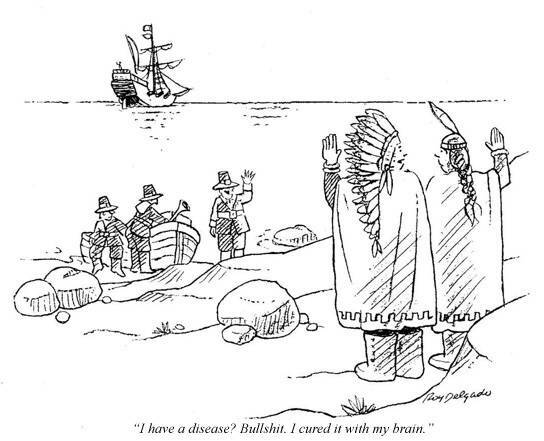 Click here to view more New Yorker Cartoons. Get ready East Coasters because Charlie Sheen is ready to entertain fans in New York, Connecticut and Massachusetts as his tour expands. Get your tickets now! © 2012 (yeh, Trolls, 2012! ) World Media Group, LLC. All rights reserved.